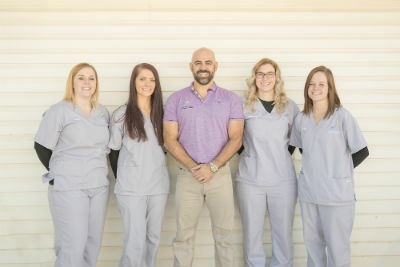 Ruby Mountain Chiropractic Center was established in 1999. Based on a love for the outdoors Elko is a natural fit for us. We love the small town feel where we can connect with people at the most personal level. We knew Elko was a working class community and established a practice to fulfill a need to keep people healthy and working strong. Our philosophy is that God created us to connect in relationships and experience life. We live in a day and age where stress from a chemical, physical or even emotional source will keep people from experiencing and connecting. A healthier body will resist stress better allowing people to connect and experience life in an enhanced way. The body has a God given ability to heal when provided with the right environment. Health is a journey, it is dynamic and demands constant attention. Health is multi factorial and is influenced by our environment. We are here to serve people and feel that there is no higher calling. We value patients and staff as they are the most valuable aspect of what we do. We cherish the opportunity to be involved in both of their lives. We will continue to bring the most scientific chiropractic techniques, therapy and lifestyle medicine together in one place for benefit of the patient. The ideal patient is at a point of change in their life. There is an open, willingness to explore a different way of living. We would like to see a utopia of healthy people experiencing life, free from physical ailments, that rely on food as a source of medicine. 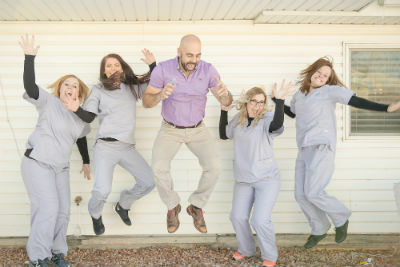 We knew chiropractic was our platform to connect and build relationships with people. Chiropractic is a lifestyle that takes years to understand and through these relationships we hope to lead many into a healthier and more natural way of living while building life long relationships Sound interesting? Please contact us today to make an appointment.